 At Specialty Yachts we believe in a collective approach to customer satisfaction – one that takes into account the individual needs of each of our customers and delivers an experience that has involved each member of the core team, as well as our endorsed industry partners. Think you love what you do? Meet Lawrence, he knows he loves what he does and you’ll quickly catch on to that too. A figurehead when it comes to “anything boating”, Lawrence is a true water baby. He was tied to the mast of his parents’ sailboat as a baby and he has found no reason to be away from the water since. It’s his backyard, his playground and, most importantly, it’s what connects his customers to extraordinary experiences. It’s those first-hand experiences, his passion to bring peoples’ dreams to life, and the enduring trust and support of his customers that pushed Lawrence to buy Specialty Yachts in 2006. 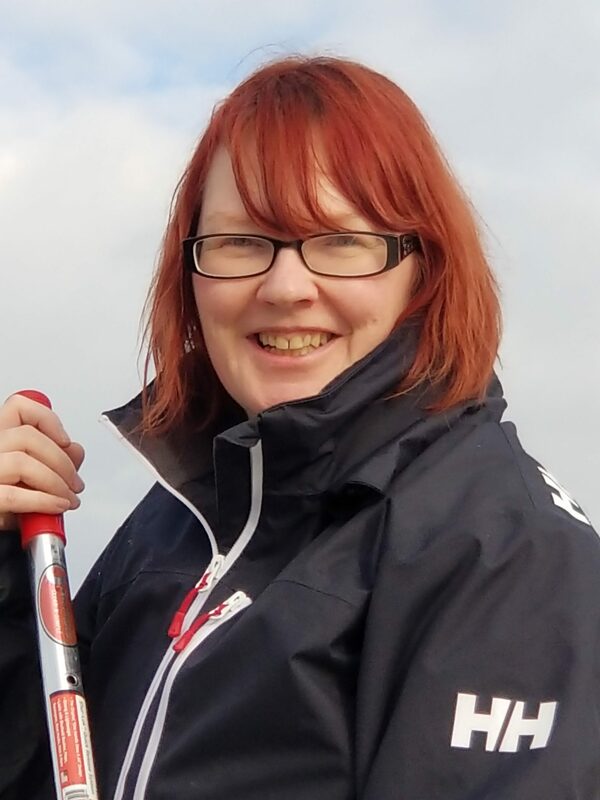 From owning a Davidson dinghy at the age of nine to owning a company at the age of….well, we won’t tell you that but the former Sales and Service Manager was quite young! And while Lawrence has evolved the company, there are some things he would never change, including his unwavering commitment to customer care and attention and supporting the development and success of his colleagues and industry partners. A big believer in sharing his experience and raising the bar when it comes to industry standards, professional excellence and protecting the best interests of consumers, Lawrence has volunteered hundreds of hours and more than 20 years as a Director, Vice President and Liaison Officer of the BC Yacht Brokers Association (BCYBA) and Boating BC (formerly the BC Marine Trades Association). Lawrence holds a Bachelor of Arts Degree (Psychology) from the University of BC, earned his Certified Yacht Broker (CYB) designation in 1995 and his Certified Professional Yacht Broker (CPYB) designation in 2009. An adventurer at heart, there’s nothing Darren enjoys more than helping his customers get out on the water, and then having them return to share their stories with him. 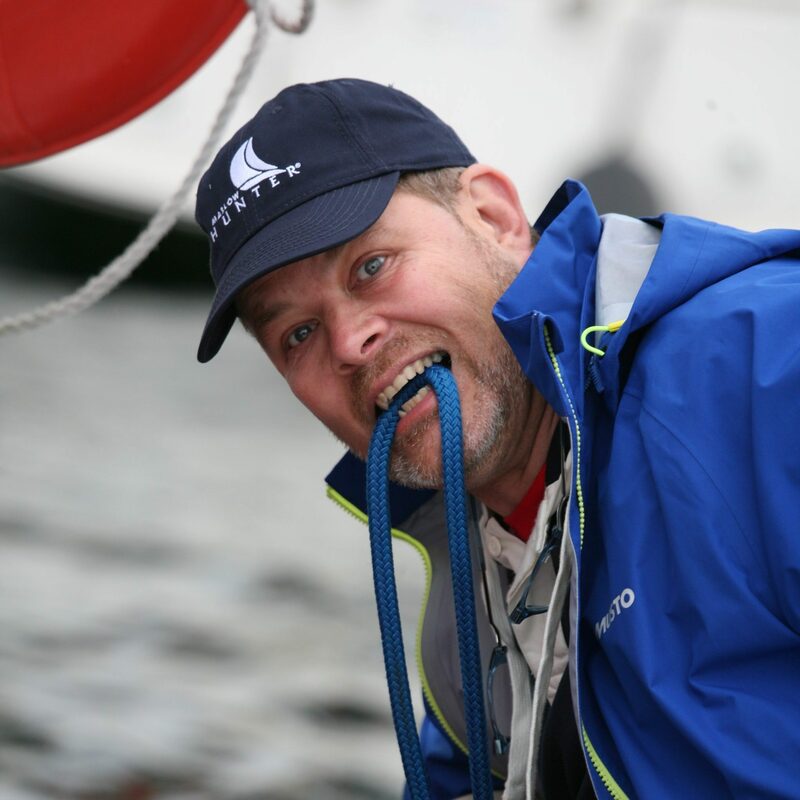 Darren learned the ropes at a young age, sailing and maintaining his own boats. He then put 1+1 together and learned that his work could very well be his passion. 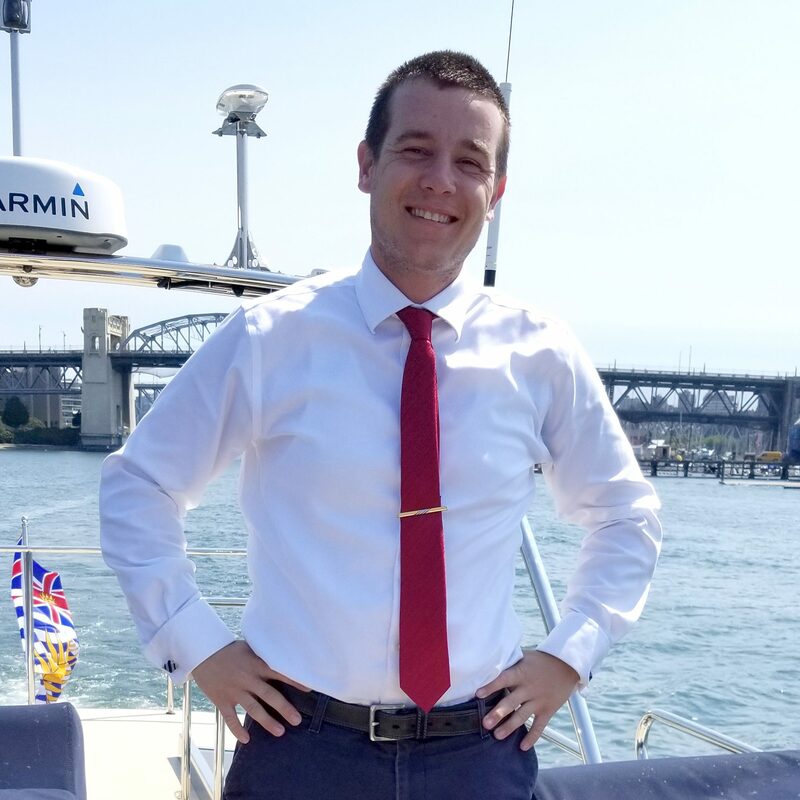 Darren is a BCYBA member Yacht Broker and an Apprentice Certified Professional Yacht Broker (CPYB), a distinguished designation that is earned by those who exemplify a high standard of professional excellence. Darren’s on-water adventures extend to overseas backpacking treks, making fodder for some serious storytelling. The outdoors has always provided Darren the playground from which he could progress his career. Before joining Specialty Yachts, Darren was the manager of a large leading outdoor retailer and a caretaker for the Vancouver Parks Board. Darren spends regular time each week coaching children’s soccer through the Italian Canadian Sports Federation and when he can, volunteering with the homeless community on the downtown East side. Often the first person you see and the first voice you hear is Ireland’s Amy Tully. Specialty’s customers, industry partners and colleagues rely on Amy to facilitate and administer their service requirements. 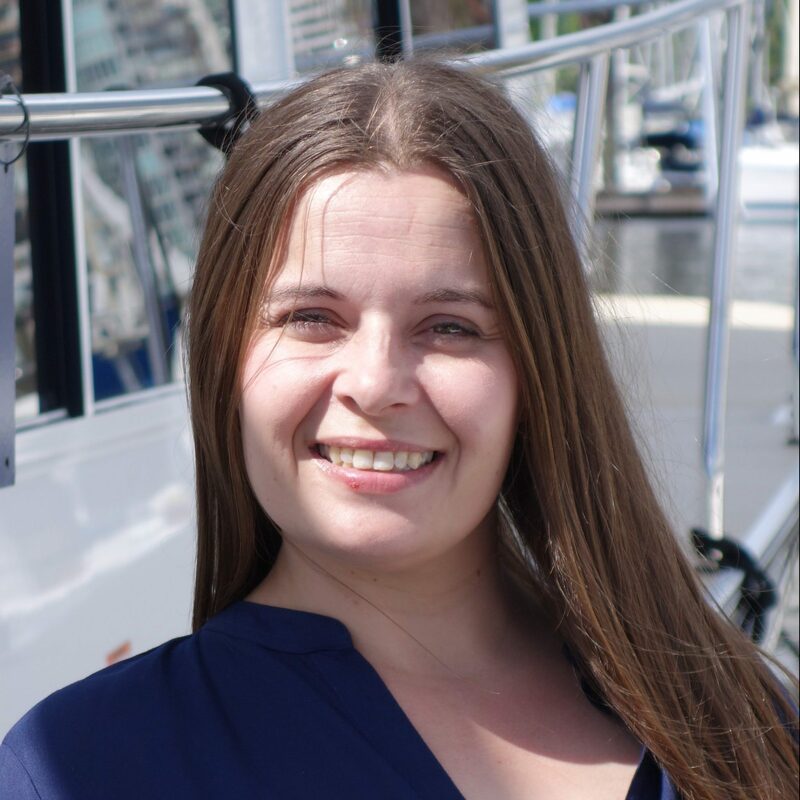 And it doesn’t stop there – infusing our office with her dazzling personality, Amy is integral to the success of our Annual customer Rendezvous, Specialty Yachts’ digital presence and our overall day-to-day well-being. Amy arrived in Canada from Ireland in 2011 and joined Specialty Yachts in 2012. We like to think that Vancouver has become home for Amy and her family which has grown to include their ever-loving dog, Jax. A huge part of Specialty Yachts is maintaining that ever-lasting glow – on your face as well as on the decks, inside the cabins and even the bilges. Ensuring the longevity of that shine is Jacqueline, Specialty Yachts’ lead Yacht Detailer. She is fastidious! Bridging the connection between sales and service, Jacqueline is often one of the first people you see on our docks which, by the way, is far afield from her roots in Saskatchewan where she practiced as an RMT for many years. From landlocked to water abound, Jacqueline loves her time on the docks and, quite frankly, we enjoy her so much that we do our best to have her hang around the office a bit. 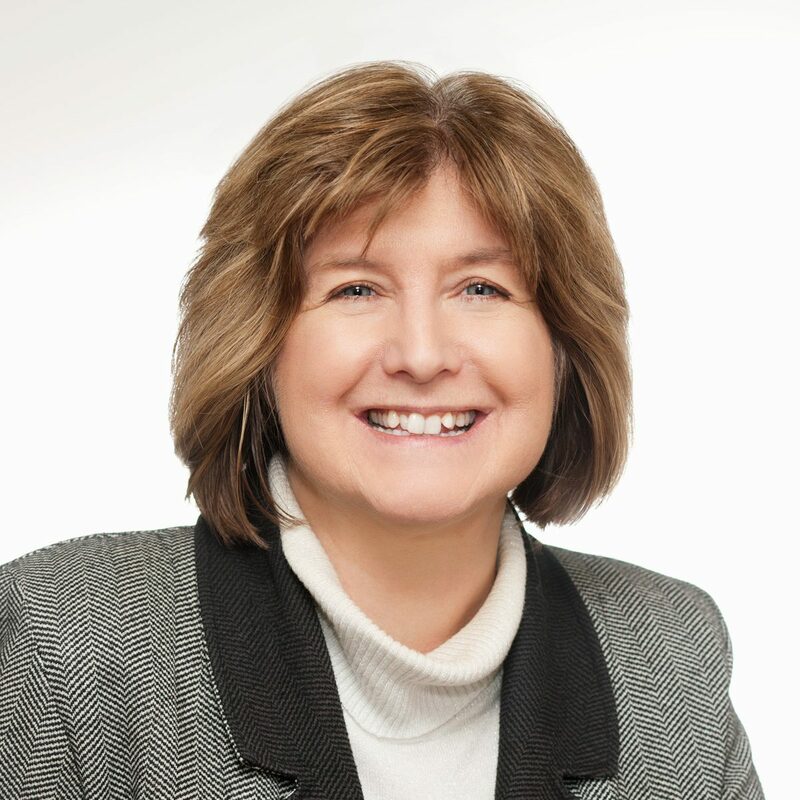 Busy behind the scenes to ensure we have our house in order, Diane’s organization skills and commitment to exceptional customer experiences helps us ensure our bookkeeping, payroll and account management practices are aligned with the highest standards of practice. Diane’s always-pleasant personality and positivity are a perfect fit for our team and our customers. While we rely on her expertise, we also rely on her to print our paycheques – so you could say she’s a staff favourite! We all know that some staff members can be a handful. Meet Charlie. He’s the one who creates havoc, demands attention, can be a little jumpy and is even known to throw a punch or two. Now normally we wouldn’t put up with this kind of behaviour but Charlie is an exception. A little attention and a lot of patience go a long way with this one. 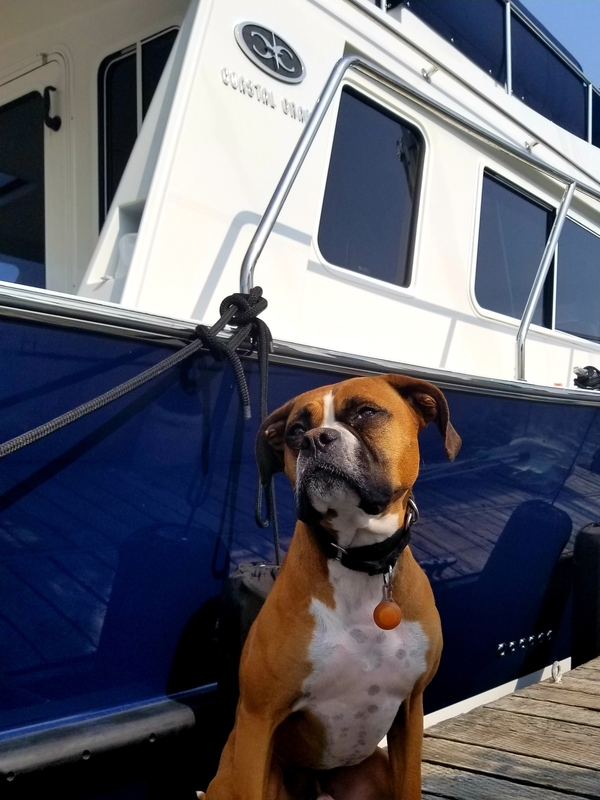 Charlie is a bit of a “prince” when it comes to getting his paws wet but we are providing him all the support he needs during the transition from landlubber to boater.